We may not have run Tecnico since February, but after running Grande CCW and Classico CCW (twice) last month, much of the circuit will be familiar. The start and finish to the lap are exactly the same as Classico CCW, with the Esses and Contino kicking things off, while the uphill section into Kornakurva, and then through the Bypass complex is all exactly the same. The differences begin with the Hairpin on the back straight, followed by the infield Sweeper, and fast right/left of Tecnico afterward. While the Sweeper is pretty straightforward, both the Hairpin and the Tecnico complex can prove challenging, so we’ll focus on those two sections. 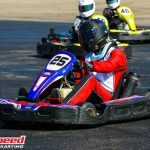 Since the first laps were cut around Tecnico for the Sport Kart Grands in 2014, the grip level and characteristics of the Hairpin seems to have changed with nearly every event. Tomorrow, drivers will probably notice the low grip levels on entry; while this is a fairly common theme for the Tecnico Hairpin, the changes in grip throughout the corner are what are different. The apex now has a bit less bite than normal -partly because of the cooler weather- because of the concrete patch that is in place to fill the notorious bump that once was there. Further, grip levels increase as we get onto the newer pavement after about the 2/3’ds mark in the corner, albeit not as grippy as it was upon initial installation. The key to negotiating this corner right -and getting the much-needed drive off- is to not only get the braking done accurately and smoothly but to make sure that you rotate enough to be perpendicular to the apex. Early apexing this corner results in a compromised line on exit, one where you have to turn away from the wall or lift off the gas; either way, killing your exit speed. When the Sprint Series first came to be, the Super Series was busting at the seams and capped at 120 entries; many of which first time drivers that would fill the D-Main and certainly find themselves at the ‘deep end of the pool’. The Sprint Series was then introduced as a proving grounds of sorts; a place where new drivers could cut their teeth or existing Super Series competitors looking to step things up to the next level could now learn what it was like to be at the sharp end. That first year would see several drivers grab the spotlight, many of whom would go on to be Super Series winners: Current 2nd in the Super Series points Sean Fite would win the inaugural championship, while eventual 2018 Super Series champ Alyssa Yauney would narrowly miss the Summer Series title, losing to Matt Hart via a tiebreaker. 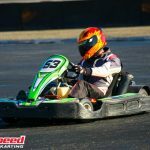 Regular top five Masters contender Ariel Rubio would win the Winter Series title that year and snag 2nd in the overall championship, while a total of seven different winners found the top step during the eight-race season. 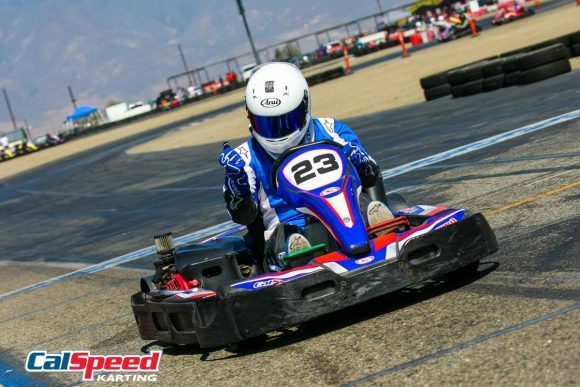 2016 would see the championship go right down to the very last laps of the season, as Winter Series champ Ashley Arnott did battle with a few others for the overall title, eventually settling for second to current Masters title contender Alexander Bermudez, who also brought home the Summer Series title. 2016 would also see the debut of TJ Blackledge, working up the standings of the series to finish 5th overall, getting a couple podiums along the way. Last year would be a continuation of Blackledge’s improvement as a driver, and for the first year, we saw a single driver dominate the championship. In 2017 TJ Blackledge set the bar in the Sprint Series for wins and podiums -5 and 8 respectively- eventually winning the championship early by an incredible two rounds in the 10 round season. This year that same driver challenges for the overall podium in the Super Series, sitting within striking distance with just one round remaining. 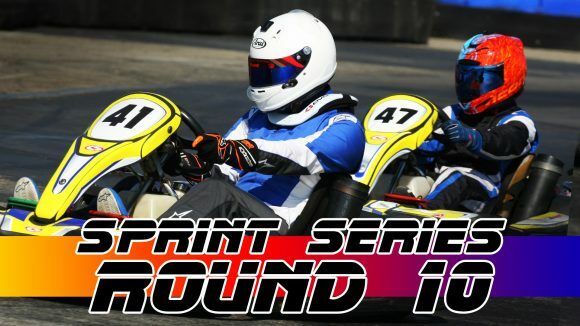 The 2018 Sprint Series season is coming to a close and a champion has yet to be decided. The finale will be on the Tecnico circuit; a track that has truly earned its name as arguably the most challenging layout on the calendar. 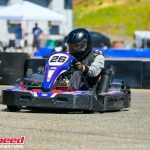 While the top two look to decide an overall winner, other drivers in the field look to reach their own goal of maybe being within the top 15, or even staying in front of another competitor in the points. At the end of the day though, treat this race no different than any other. As each round brings us closer to the end of the year, the point race continues to develop more and more for some drivers, while for others the story comes to an end a bit sooner. The two drivers who still find themselves in an undecided battle are Sam Hunt and Spencer Russell. With Sam having a slight point advantage over Spencer going into the finale, the championship is still very much up for grabs. With that said, how does a racer approach a weekend as important as this one? Does your thought process or “plan” change? Take the points out of the scenario, it is the same as any other weekend; the day is still worth the same, the competition is still the same. So why not treat it the same as you would’ve earlier this year? I find myself in the same scenario as our top two contenders; my championship at Tri-C will come down to the final weekend. After the previous round, Mike and I chatted about the upcoming finale and I heard possibly the best advice I have ever been told: “Don’t change anything”. I have been able to get myself to this point by showing up each round and keeping my program the same, just as Hunt and Russell have. Keep your program the same, it’s obviously working very well. As soon as you try to change something, you have now just added a variable that was not there before. “Just keep doing what you’ve been doing”. The other words of wisdom that come to me while thinking about the Sprint Series finale and my Tri-C Karters finale is this: the championship is a bonus; a successful year is being competitive. Take the positives out of this season and learn from the negatives. It’s been a great year and I look forward to seeing everyone this weekend! The ‘tale of the tape’ between these two fighters is nearly equal; wins and podiums go to Hunt, earning 3 wins on the year and stepping on the podium six out of the nine rounds, while Russell has two wins and four podiums to his count. 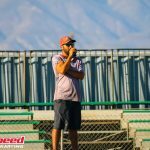 Russell, however, owns qualifying and Heat wins 5-4 over Hunt, and is the Series leader in points earned overall; having been outside the top two in the heats only one time. The last time we went through Tecnico it was round #2 and the duo was nearly identical; each getting second in their heat, with Hunt finishing one spot ahead in the Main. Eight months on, and it all again comes down to Tecnico at the Season Finale. While the top two have been the de-facto title contenders and will have a duel to the finish, the battle for the third and final step on the podium is an awesome one, with four drivers still in the hunt. Last season’s #4 driver Randy McKee sat in the third spot for much of the year, albeit under constant pressure from the drivers right behind him. Heading into tomorrow’s Finale, Mckee has actually slipped to fourth, with new hot shoe Evan Karp sliding into the hardware position after the Double-Header a couple weeks ago. 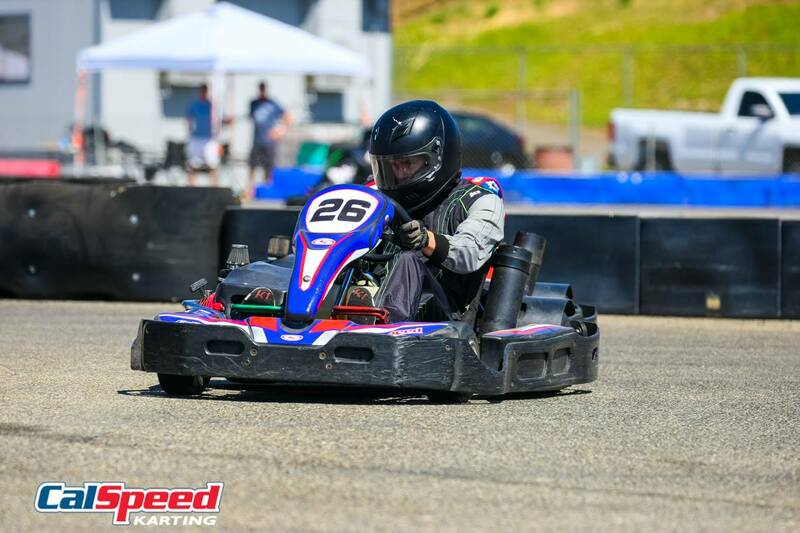 Joining those two is a driver that has been on a rocket ship charging up the standings, as Mark Sternberg has continued his non-stop improvement to now challenge for a podium, even with having missed two events this year. 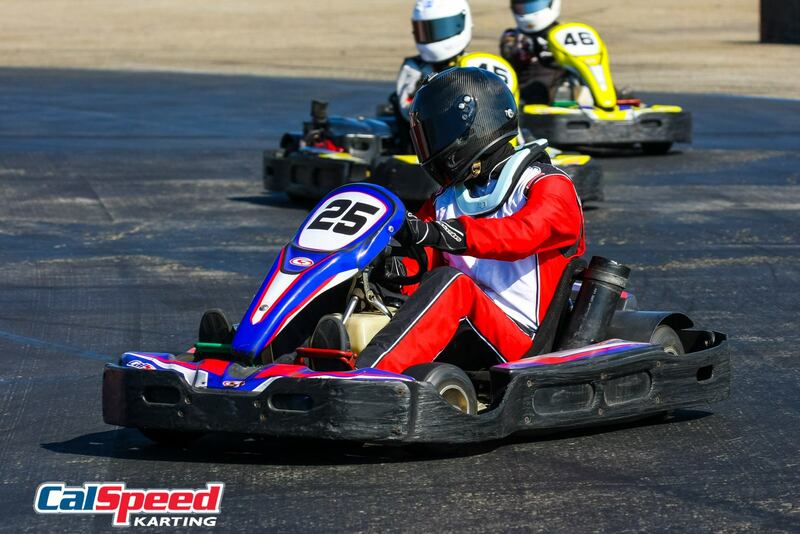 Last but not least is another driver that has shown steady improvement, and is currently running better than ever; Tyler Redman. For his part, Redman is mathematically in contention, but will not only need to have a career best day, but will also need his three rivals to falter if he is going to steal away the third spot. While Redman sits 80 points out of 3rd, the other three are separated by just 34 points, and statistically, have put up very similar numbers to each other. 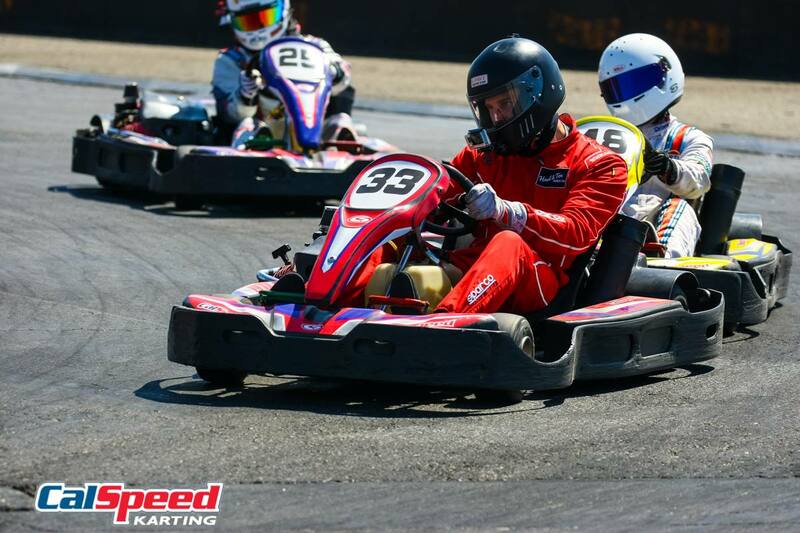 Of the three, McKee does have the most experience and has been the most consistent across the nine rounds so far, with each of his closest rivals in their first full seasons of racing at CalSpeed. In fact, when the Sprint Series was last on Tecnico for round #2, it was McKee that led the way for nearly all of the full season regulars, putting up a 4th overall and his second highest point total of the year. Karp may be a bit more hot/cold than the others but has shown impressive speed and improvement in his first proper year of racing in 2018. 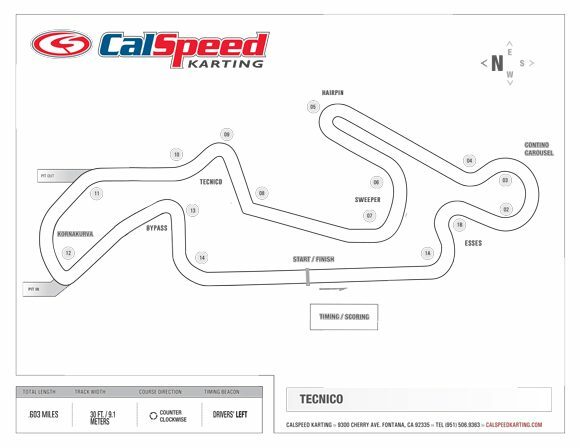 He had his worst finish of the year on this track, but it was because of a penalty, not because a lack of speed; a much more improved Evan Karp enters Tecnico this time and it will be interesting to see how he does. Mark Sternberg may enter as the strongest of the three; the numbers are fairly equal amongst them, but Mark has done it on two less events. 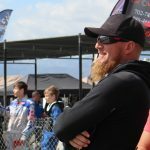 He is fresh off a very strong Double Header that saw him match his season high of third in the main in the afternoon, backing up his fourth overall from the morning’s A-Main as well. Summer Series Championship: Sam Hunt Clinches Summer Title! Mike Smith: Sam, congratulations on bringing home the Summer Series sub-championship in the Sprint Series! Sam Hunt: Thanks Mike! Kinda got on a role and feels good to clinch it before the finale. MS: It has been a really great second half of the year for you. Not only have you not finished off the podium the past four rounds, but you also have won two of them. Did you expect things to finish off this strong? SH: If I’m gonna be honest, I was hoping it would. Putting in so much effort to try and close that gap to Spencer, this is exactly what I wanted. I feel like I’ve just been getting better and better, and definitely that has attributed to the success. MS: In 2016 you ran the final two rounds of the Sprint Series, and last year was your first full year with a 12th place overall result, albeit missing the final two events. What have you learned over that time -and more specifically- what is different from last year that sees you contending for the overall title? SH: Those last two races of 2016 I came in completely blind without really racing before coming to CalSpeed. The 2017 season it started off pretty slow still getting used to everything, but once it started to click more success came. What I’ve learned so far is that race how you wanted to race. My race craft and speed has come a long way since last season, and I feel like I’m just starting to show how I can actually be. That has given me the opportunity to run for this title. 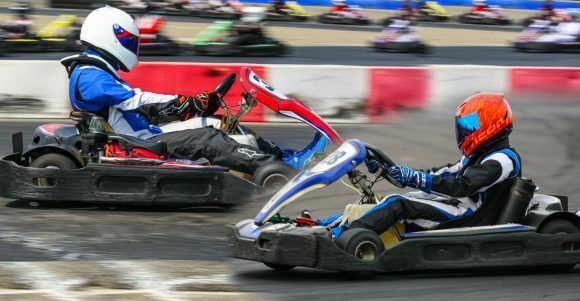 MS: How did you get started in karting? 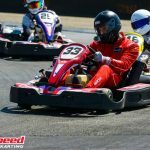 Was CalSpeed where it all began; if not how did you hear about CalSpeed Karting? SH: Before I came to CalSpeed I did arrive and drives at K1 and my parents saw something in me. I have to give a lot of credit to my friend Terrence for bringing me to K1 for his birthday and got me to love it. My dad first told me about CalSpeed and I thought it seemed fun so I came out and tried it out. MS: Last question Sam; You may have wrapped the Summer Series title one round early, but there is still one round remaining in the overall championship; and you have the point lead. 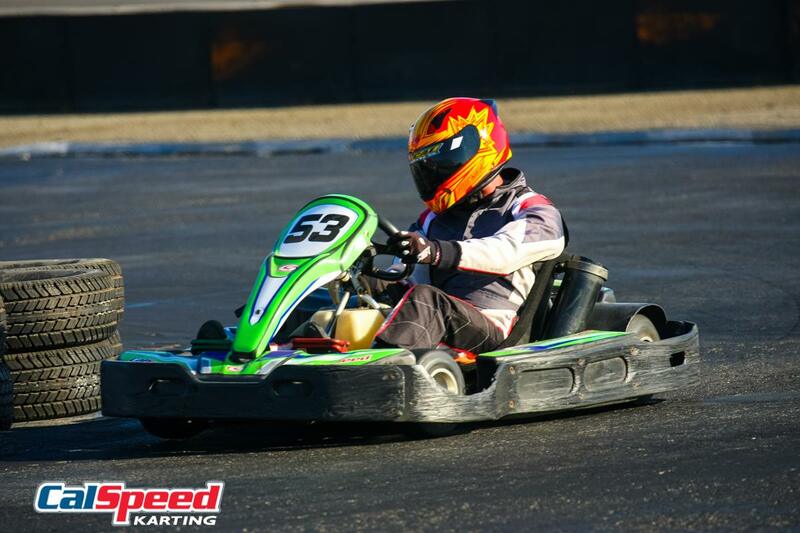 What is it going to take to bring home the coveted Overall Sprint Series championship? SH: If I’m going to be honest the way I’m gonna win the championship is if I can get another podium. If I can at least get third that should be good enough. Anyways, I would love to win that last race but I’ve had a more successful season than I thought, and I’m grateful to be leading it going into the finale. MS: Once again, congrats on wrapping up the Summer Series title early, good luck tomorrow! SH: Thanks Smitty, see ya tomorrow!